An Evening of Luxury. DSM Mercedes VIP Party. 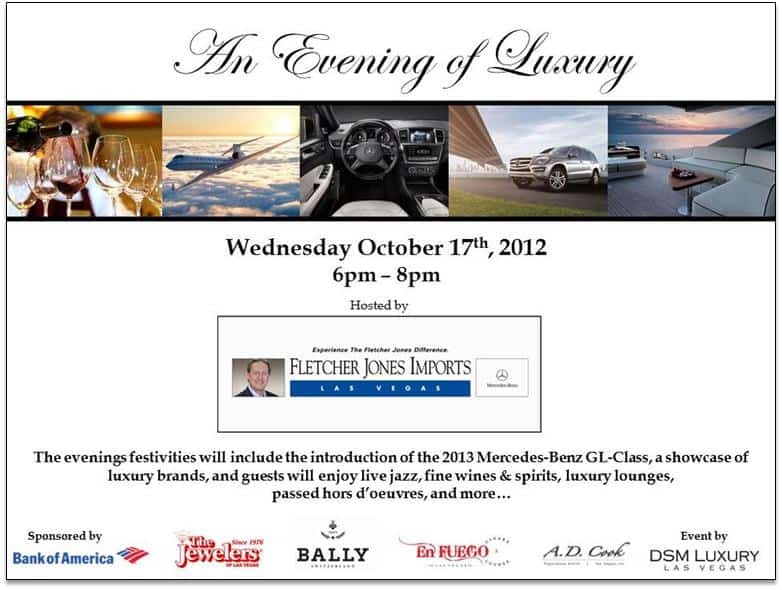 Wednesday evening’s festivities included the introduction of the 2013 Mercedes-Benz GL-Class, a showcase of luxury brands live jazz, fine wines & spirits, luxury lounges, passed hor d’oeuvres and more. I displayed my painting “Solstice” for this event. Collectors and friends joined me for drinks and cigars in the art cigar lounge. Great view inside too. The featured lady of the night was new Mercedes-Benz GL-Class SUV – a beautiful creation. 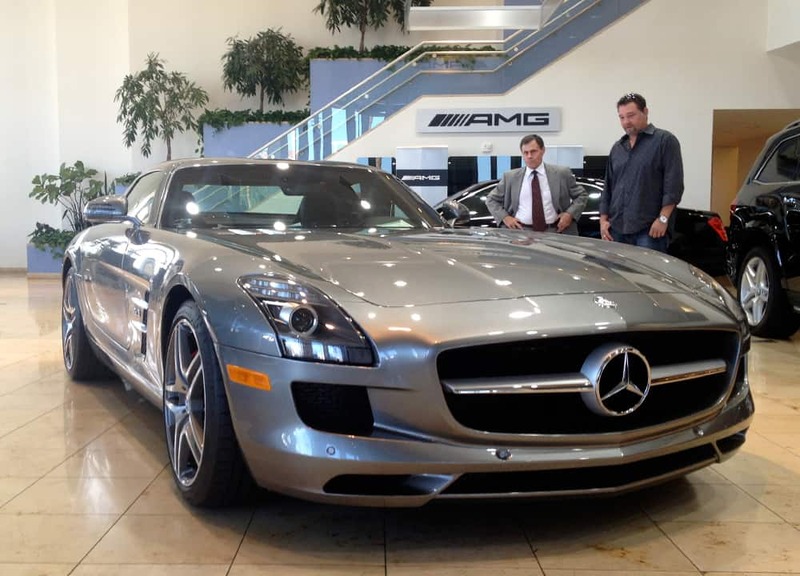 Naturally, the Mercedes-Benz SLS-AMG Coupe (above) caught my eye.